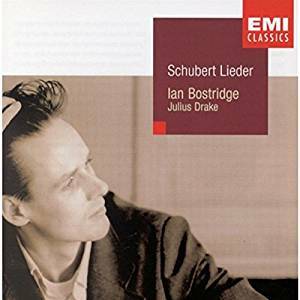 After having taken us unflinchingly and unsparingly on journeys through the song cycles of Schubert and Schumann, Ian Bostridge now indulges us with a thrillingly programmed recital of 22 of Schubert’s best known songs. But did we ever really know them before? This is one of the questions provoked by singing of such extraordinary intimacy and generosity. There is even the momentary illusion of the songs being sung in one’s own language, so immediate is Bostridge’s engagement, and ours. ‘Die Forelle’ fuses external image and internal emotion so entirely that a whole miniature cosmos of human experience is distilled in a flashing drop of water. Bostridge’s own wide-eyed imagination is enriched here, and in the gripping narratives of ‘Der Zwerg’ and an exceptional ‘Erlkönig’ by the ever-increasing empathy of Julius Drake’s piano playing. Listen, for instance, to the way Bostridge heightens the velocity of ‘Der Musensohn’ by focusing on its verbs rather than its nouns. Or how a sense of total weightlessness is created by the control of breath and head voice in ‘Nacht und Träume’ and, most beautifully of all, in the hushed internalisation of ‘Über allen Gipfeln’. The more you listen to this disc, the more you will hear – for a long time.